ISC Racing has the fastest race cars in the Southeast division. 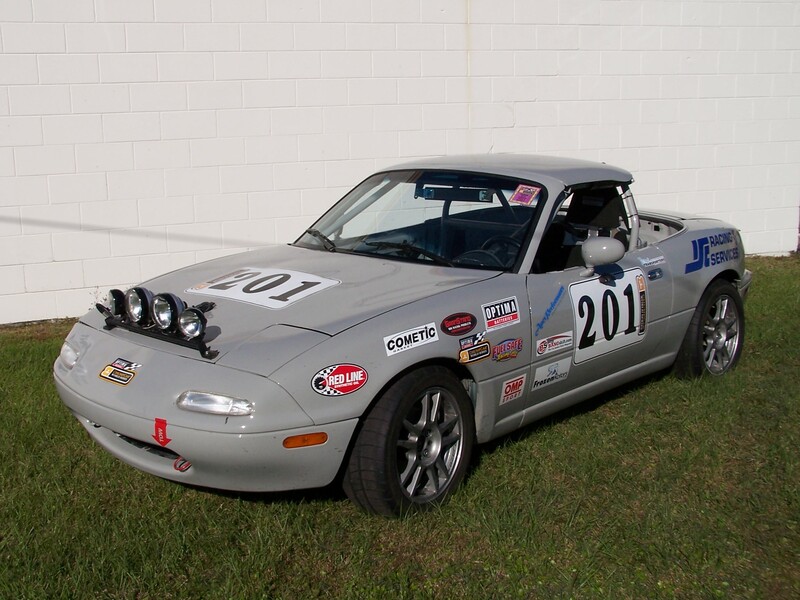 Our race cars are competitive, reliable, and professionally prepared. The cars arrive cleaned and fully race prepped. Our crew is knowledgeable, courteous, and friendly. We carry an assortment of spare parts for track side emergencies. Mike Van Steenburg has 6 SARRC Championships, 2 SE Division National Championships and a ARRC Champion. Rental packages include track side support, fuel, Traqmate Data Recorder, universal coolshirt pan & electrical hook up, tires*. Lunch provided for driver & 1 guest at Sebring, Palm Beach International, CMP, Barber, VIR, and Road Atlanta tracks. If you have more than 1 guest, please call us ahead. OUR GOAL IS FOR YOU TO HAVE A STRESS-FREE MEMORABLE WEEKEND. 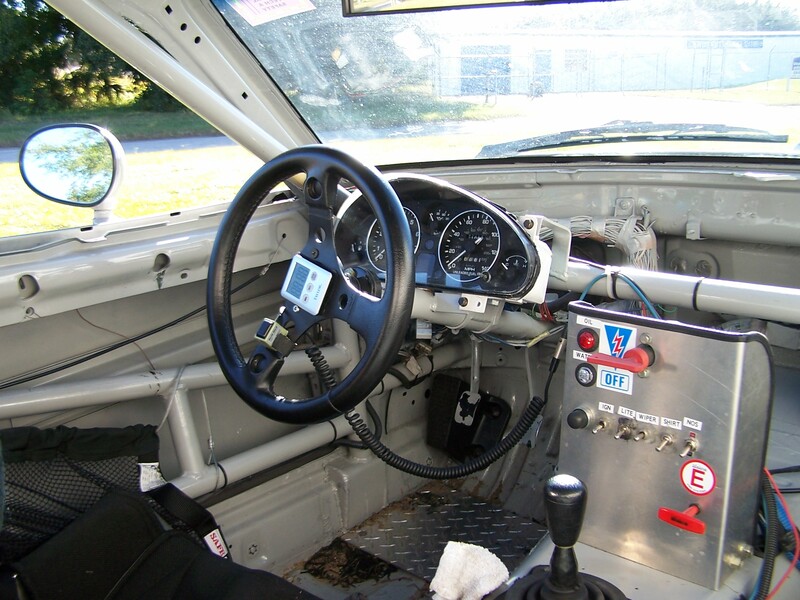 Enduro Races and Driver Schools are $100.00 extra. The Rental Fees are for the following tracks: Palm Beach International, Sebring, Homestead, Daytona, & Roebling Road. Please call for a quote on VIR, Road Atlanta, Barber and CMP. 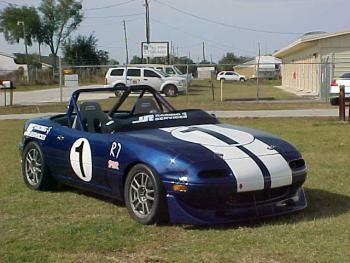 To reserve a race car for a specific date there is a $250.00 deposit. This deposit is nonrefundable unless we are notified 2 weeks in advance and we are able to secure another client. Client will be responsible for personal gear, food, fees (test day & entry fee) and any flat spotted tires. There is a damage deposit of $2,500.00. Damage deposit and rental fee balance is due in the office no later than 8 days prior to event date. The client is fully responsible for any and all damage incurred during the weekend. For car availability and event schedule, please call 863-324-4539, email us at MVSRX7@aol.com or visit http://www.sedivracing.org on our links page. ***The 3 day rentals are Friday Test Day, Saturday, and Sunday Race Days. *All rental cars are available for purchase. *There is a $75.00 charge for any flat spotted tires.